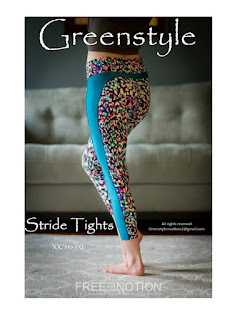 I have a new favorite leggings pattern, the Stride Athletic Tights by Greenstyle. 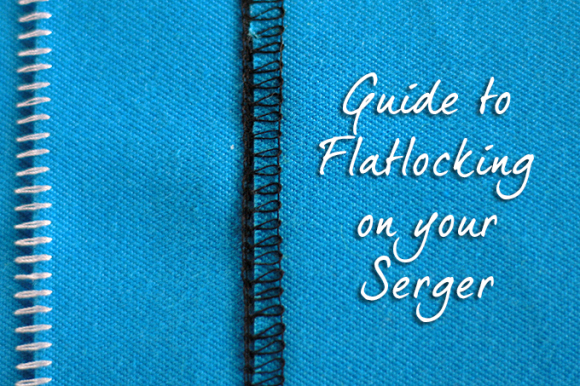 I like the styling on this, and thought I'd try to do the flat lock seams that my serger features. The seams are strong and the seam allowance is flattened into it. I used the web tutorial below to learn the intricacies of this stitch, and learned the hard way that I need a really good tail of thread before and after each seam. I also learned that I have to tie the thread tail into a knot or the seam will unravel in a flash. Unfortunately, after making a beautiful, strong, flat seam, I used the cutter on the serger in sewing the pieces together, which sliced that thread and the careful knot off, so the seams started unraveling as soon as I tried that puppy on. OK, lesson learned. I also tried a different way to make flat seams, which takes a little longer, but not when you consider how long it took me to make leggings that I won't trust. So....you know that stretch stitch on your sewing machine that looks like a lighting bolt? I never liked using it because it's slow and I'm impatient, and why use that when I have a serger? Well, it's actually a really good (almost) straight looking stitch, and I suffered through it to make the seam between that side piece and the back piece. I pressed the seam allowance to the side piece. Then, I used the cover stitch machine to go over the seam allowance, top-stitching on the right side of the garment to make a nice parallel stitch, holding the SA flat. If you don't have a cover stitch machine, a double needle will do this very nicely. 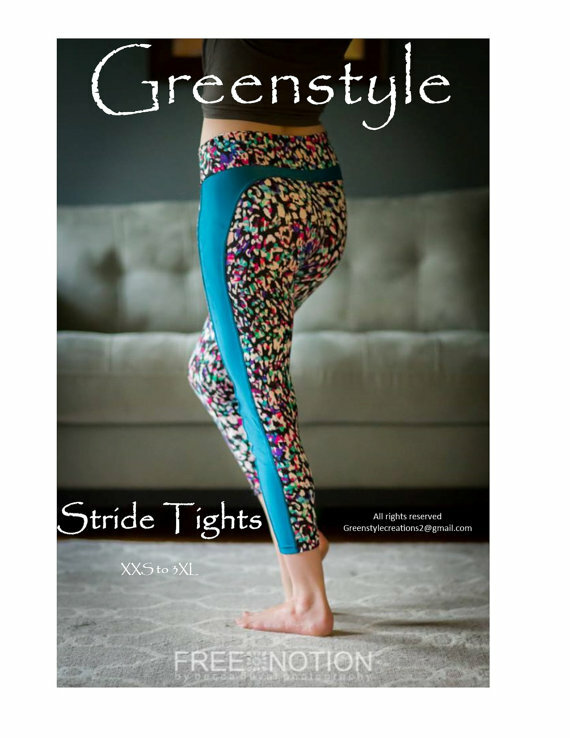 UPDATE, 10/7/15: I reverted back to simply serging that curved seam, and it worked fine but does leave a noticeable ridge of seam allowance on tight leggings. Next time, I'll either flatlock and then remove the blade for the construction part of the garment, or maybe cover stitch over the serged seam allowance, though I suspect that's going to make too much bulk. 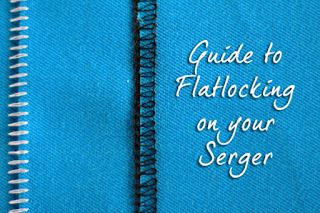 If I flatlock and then reinforce with some sort of strong stitch at the ends, I'll feel less worried that my seams will split at an inopportune time. As another modification, I think that the waistband construction on this pattern is a little more fussy than it needs to be. I seem to do fine with the Peg Leg waistband, and it's so much faster and easier! I might do this that way in the future. The best thing about this pattern, besides its pretty lines and great fit? I needed less than a yard of fabric to make it, (mind you I'm only 5'1") and so I had enough left over to make another one with the alternate seaming technique. This is what a "wearable muslin" is all about!! Which brings me to the next thing I want to mention...in sewing garments, I have historically purchased a pattern, some fabric, and set to work making the garment out of the fabric. Seems logical, yes? Well, this is why I stopped sewing garments a few decades ago. By the time I was done with a garment, I often had a piece of clothing that wasn't great. Either the fit wasn't right, or the construction looked sloppy, or something made me regret it. If it's something that I would have tried on and rejected in a store, I was very frustrated to think I'd spent my time and money on it and was stuck with it. Sewing clothing is a process. It takes at least one, sometimes many, trial runs to get a pattern just the way I want it. Then and only then, should I cut into the fabric I envisioned as the final destination. I have found many times that the wearable muslins made of less precious fabric end up being my favorites!